The Extreme Cooler: Why Do They Cost So Much And Are They Worth It? When the first extreme coolers hit the market, they were close to four hundred dollars. I thought to myself; who in their right mind would spend that kind of money on a cooler? Pretty sure that was my grandfather’s voice creeping into my head from years of saying everything we purchased was a waste of money. For years, I didn’t even consider ever buying one. As time went on, I started to evaluate the value of one of these types of coolers and if the investment would be beneficial in the long haul. After all, I went through numerous inexpensive units for years due to broken hinges, handles, latches or just plain broken down - period. 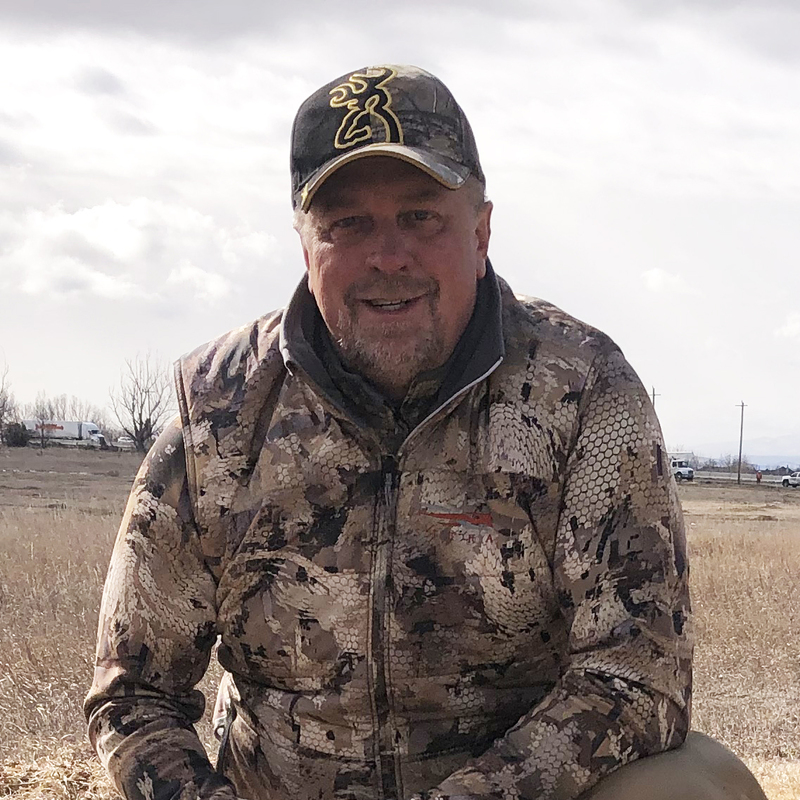 An early season mule deer hunt in Nevada was my biggest eye opener on this issue and provided me serious ammunition to consider investing the dollars for one of these expensive ice haulers. We loaded up several of our inexpensive models with all the food, drinks and ice we would need for the next ten days on the mountain. We had frozen jugs of water and lemonade to get the most out of our space and cubed ice filled all the open airspace in each cooler. We rol led into the last small town prior to dropping off the grid and checked the status of our coolers. Enough ice had melted in the back of our trucks, with full sun exposure that we were able to fit several more bags of overpriced ice into each cooler. Off we went on our two-hour trek to the camp spot we had chosen. This consisted of thirty minutes of good paved road, one hour of okay dirt road and the last half hour was horrible dirt/rocky road. We set up camp and placed our coolers into a great shady spot, out of the hundred-degree, full sun. It was still mid-eighties in the shade, but the best we could do. By day three, we had successfully harvested one archery buck, but unfortunately all of our ice had disappeared, including our blocks and frozen jugs. The successful hunter emptied one of the coolers and made a run into town to fill up on ice. When he arrived into town two hours later, he spent nearly eighty dollars on ice to fill the cooler, due to costs being double of what we had paid at home. He also had used almost a half a tank of fuel to get there and back to camp and at over $3.00 a gallon, this one unexpected trip for ice totaled nearly $130.00. Three trips like that would have paid for an extreme cooler and over the ten-day period of time, we did just that. When we returned from our trip, I promptly invested the necessary money to make sure my ice lasted as long as possible on future trips. So, here is the big question - Which one of the extreme coolers on the market do you spend your hard-earned money on? Since there are a lot of choices out there and spending the money to buy one isn’t a reality for most, we here at Sportsman’s News decided to give them a real-world field test to see how they perform. Some of the following coolers we have a little more experience with than others, just because some of our team members own them. However, each one of the coolers tested were brand new, current models available at Sportsman’s Warehouse and we put them through the same exact testing. Features and benefits for each cooler are spelled out with each model below and the chart shows a side-by-side comparison to each. Ice retention is a huge factor in purchasing a cooler as well as the empty weight, so we put a lot of emphasis on this portion of the test and we will let you decide which one is best for your needs. Coolers ranged between 65 quarts and 75 quart, with not all of the companies making the same sizes for the comparison. We pre-chilled each cooler the night before the test, which meant that we put two frozen gallon jugs of water in each cooler for 12 hours prior to starting the test. Every cooler in the test received two (2) ten-pound blocks of ice and then were filled to the brim with cubes of ice to eliminate any airspace in the coolers. The results of our testing are posted below. Please take into consideration that the smallest cooler in actual measured capacity is 13 quarts less than the larger 75 quart coolers. All six coolers tested were placed on the west side of our office building here in Cedar City, Utah. The layout of this building allows for morning shade, but full sun from about 1pm through sunset at just after 8pm. The overnight low temperatures during our testing period was around 47 degrees and the daytime highs were in the upper eighties. There was one foot of space between each cooler and measuring the external temperature of all throughout the test, the internal coolers saw no benefit from having coolers on each side of them. The coolers were opened every morning to check ice status, as well as every evening during the testing period. The water was never drained from any cooler and the testing was identical for each cooler. Final findings of when each cooler ran out of ice can be found in the table below. Grizzly Coolers are the ones that I have the most experience with because I purchased the one that was discussed in the beginning of the article nearly ten years ago when the company was called IRP. They have proven to be extremely durable and well-constructed and have never failed me. Grizzly Coolers are made in the USA through a rotomolding process. They are available in several different colors. Our test unit is white and in the 75-quart capacity. It has built-in rope handles as well as molded-in side handles and three heavy duty rubber latches, which have to be stretched to be latched. This process is easy for adults but can be difficult for younger children. It has four large rubber, nonskid feet, which does a good job of keeping the cooler stationary whether you put it down in the back of a truck or on the deck of your boat. There are also tie-downs which will still allow you to access the content of the cooler when tied down. It also has oversized drain plugs on both ends of the cooler, which is a great feature for draining water without having to move the drain plug to the downhill side. It has a molded-in, 30” measuring tape on the top of the cooler, which is great for checking the measurements on the daily catch. It is certified bear proof by the IGBC. This cooler weighs in at 34 pounds, empty. When we loaded it up with ice, it held the largest capacity of two (2) ten-pound blocks and 62 pounds of cubed ice. The measured capacity of this cooler was a true 75 quarts, so we aren’t sure how it handled two additional pounds of ice compared to the other 75 quart cooler in the test, but it is a fact. This cooler had ice in it for a full 12.5 days. The Canyon Cooler series was developed out of Arizona, where the temperatures soar and ice is a major commodity. Our test cooler is a 75-quart outfitter series, which comes in a couple different colors. It is built with the rotomolded process in the USA. It has built-in rope handles and three very easy to close latches, which can be done one-handed by anyone. The airtight seal on this unit was obvious as the first time we opened the cooler, the drain plug had to be removed to allow the lid to come open. There are no built-in anti-skid rubber feet on this unit, which makes sliding the cooler around very easy, but when you want it to stay put, there are tie down slots which allow you to still access the contents of the cooler. The cooler was originally designed for rafting trips down the Grand Canyon and this easy slide and tie-down setup works well for this. The smooth lid also makes for a great seat in a raft. It has one drain plug on the right side of the cooler. The internal design of the cooler allows two shelfs (sold separately) to be added, which will keep sandwiches and other items up and out of melted ice. This cooler is IGBC certified and weighs-in empty at 30.50 pounds, making it the lightest cooler in our test. When loaded with ice, it took two (2) ten-pound blocks and 60 pounds of cubed ice. The measured capacity of this cooler was exactly 75 quarts and it held ice for 13 days. Yeti doesn’t need much introduction, as most of the world knows who this company is and what they do. Yeti started making coolers in 2006 and has continued to forge along making new and innovative products dedicated to the outdoor industry, leaving most cooler companies trying to figure out how to catch up. These coolers are made in the USA and our test model is a 75-quart, rotomolded cooler. It comes with tie-down slots as well as non-slip feet. It has built-in military-grade polyester rope handles, as well as molded-in side handles for easy carry. There are two heavy-duty rubber latches which are stout and easy for most adults to latch, but a bit tough for the younger children to get in and out of. It has one drain plug on the side of the cooler, but the Vortex drain system allows water to be drained from a flat surface without being lifted on one side or the other once this plug is pulled. This unit is IGBC bear certified and tips the scales empty at 34 pounds. When loaded with ice, it took two (2) ten-pound blocks and 60 pounds of cubed ice. The measured capacity of this cooler was 75 quarts and it held ice for 13.5 days. The Pelican brand has been around since the 1970’s and is probably known by most for their various hard cases. In our case, most of our camera and gun cases are Pelican cases. Our test model is a 70-quart unit, which is built through an injection molding process. It is available in various color options. It has four built-in cup holders on top of the lid, as well as measuring tapes in both inches and centimeters. There are two heavy duty built-in handles on the sides, but no rope handles. These molded-in handles are great tie down/anchor points as well. It comes with four raised, non-slip rubber feet. There are two latches that keep the cooler closed and they are a push button, lift type model, which is simple and workable for any and all ages. This cooler is IGBC bear certified and the empty unit tipped the scales at 33.29 pounds. When loaded with ice, it took two (2) ten-pound blocks and 55-pounds of cubed ice. The measured capacity of this cooler was 70 quarts and it held ice for 13.5 days. This brand is new to the cooler world and is just hitting the shelves of Sportsman’s Warehouse this summer. This newcomer in our test is a rotomolded style cooler and is a 65-quart capacity. It has some great features that most outdoorsmen and women will like, of which, the lowest price in the test is probably the one thing well worth mentioning. It has heavy-duty rope style handles as well as molded-in side handles. It has molded-in tie down slots and also non-slip rubber feet. The latches are heavy-duty rubber and require a good pull to stretch them into the lock-down mode, which makes it tough for young children. It has a ruler with both inches and centimeters molded into the lid. It comes with multiple drain plugs; a large one on one side and a smaller one on the other. One of the most ingenious things about this cooler is the built-in wheels. They are smaller, rollerblade type wheels, so not great in the sand, but for one person to move around a fully loaded-down cooler on a hard surface, it’s pure genius. It is the heaviest cooler that we tested, weighing in at 35.2 pounds and it did hold the least amount of ice. Being rated at 65-quarts, it held ten full pounds less than the other 65-quart cooler in the test. Fully loaded with ice, it held two (2) ten-pound blocks of ice and 45-pounds of cubed ice. The measured capacity of this cooler was only 62 quarts which is why it was only able to hold 45 pounds of cubed ice. It was 3 quarts smaller than advertised, but still held ice for a full 13.5 days which is amazing considering it had the least amount of ice to start with. Otterbox is new to the cooler game, but they have been protecting our phones and devices for years and I’ve put those products to the test. This cooler is an injection molded style cooler and our test model is a 65-quart capacity type. This cooler has molded-in style handles and no rope handles. These make for great tie-downs and the four, non-slip rubber feet, help keep your cooler in place. The latches on this cooler are one of my favorites of all the coolers tested. They are very simple and easy to use and anyone can open and close them with ease, which usually insures they do get shut, which extends the life of your ice. This model has a built-in dry storage tray, which keeps your sandwiches out of the melted ice. It has one drain plug which is sized to fit a garden hose and allow you to drain the cooler and funnel your drained water wherever you put the end of the hose. The one unique thing about the Otterbox line is the multiple accessories available for these coolers. Drink holders, bottle openers, drag handle and wheel assemblies are just a few. The wheel assembly is designed to fit multiple sizes of Otterbox Coolers and their extra-wide wheels will allow a fully loaded cooler to roll across the sand at the beach with one person pulling on the drag handle. This cooler weighed in at 32.95 pounds empty and loaded up with ice it handled two (2) ten-pound blocks and 55-pounds of cubed ice. The measured capacity on this cooler was 65 quarts which is just what was advertised. It still had ice at 14 days when all others had ran out and we weighed the remaining ice at this time which was right at 4.75 pounds. The Otterbox still had 4.75 pounds of ice remianing after 14 days, when all of the other coolers had run out of ice. Overall, every one of these extreme coolers performed extremely well during our testing. Getting ice to last this long is more than most of us can expect. When you are in the field, people are going to be getting in and out of these coolers throughout the day, which is definitely going to reduce the amount of time your ice is going to last. So, expecting double-digit days out of your ice isn’t realistic under these types of circumstances. However, there are things you can do to help get the most out of your ice and extreme coolers as well as eliminate unwanted trips to town. The obvious is to first make sure you always pre-chill your cooler and freeze all the food you can for extended trips. If you are putting warm drinks into a cooler, it is going to rapidly diminish your ice as it gets the drinks internal temperature down. Secondly, you need to keep your cooler in the shade at all times. One thing we started doing on our trips is to take a second cooler with us and fill it with ice only. We often put dry ice in this cooler to really keep the temperature down. The only time this cooler is ever opened is when we need to pull out a bag of ice or two to fill up the daily use coolers. Remember, reducing a few of those unnecessary trips to town to get more ice will save you a lot in ice and fuel costs, helping to justify the cost of one of these extreme coolers. Now load up that cooler and enjoy some time afield.